Since Google first announced its wearable device, the excitement in the app developer’s camp has been overwhelming. Since then several devices such as Samsung Galaxy Gear, Pebble smart watch, and smarty ring among others have hit the market. Apple’s dream product iWatch is also being planned to be released this October. It is true that the debut of smart wearables has opened new vistas in app building. However, currently app developers feel that the scope of developing apps for the wearables is very limited. In order to explore the possibilities of app development for smart wearables, the matter was viewed from different perspectives. The conclusions of the analysis are given below for your understanding. Our mobile app developers have been developing both android and iOS apps for smart mobile phones and tablets and their views on developing apps for wearables have also been presented here. Mobile app developers view app building for wearable devices as quite cumbersome. They feel that the landscape is too fragmented as would have to utilize a variety of SDKs and APIs to develop apps for various devices available in the market. However, according to our mobile app developers, it is worth the trouble as the future will be that of the wearables. It is also true that without killer applications, people would also think twice before investing in wearables. At present, most of the wearables in the market rely on smart mobile phones and tablets and developing apps that would make the wearables provide a completely different user experience is the key to be successful in the field. One good example of a killer wearable app is AlltheCooks. The app provides the users with hands free cooking experience. Already a few innovative mobile app developers have taken app development for wearables seriously. Moreover, the inhibition of the users on the efficiency of the wearable devices is quickly fading away and soon the wearables would start dominating the mobile market. With augmented reality and other advanced technologies getting the attention of users and businesses, wearable devices are likely to play a major role in production, healthcare, retail, and travel businesses in the near future. At Innoppl Technologies, our Atlanta iPhone application development team and android application development team have been developing iOS and android mobile apps of very high complexity in the recent years. 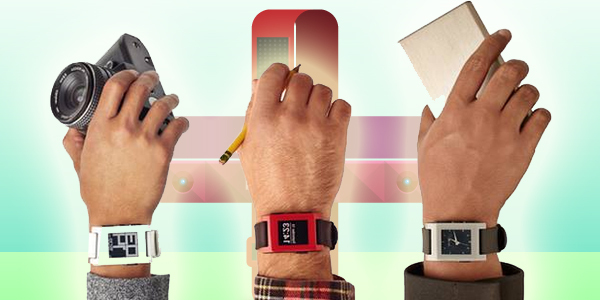 They are now venturing into app development for wearable devices. To learn more about their skills and expertise in app development, have a live chat with our mobile application developers in Atlanta now.